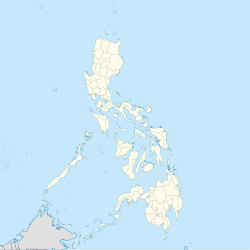 Leganes, officially the Municipality of Leganes, is a 4th class municipality in the province of Iloilo, Philippines. According to the 2015 census, it has a population of 32,480 people. It is located 11 kilometres (6.8 mi) north of the capital Iloilo City. Like most Philippine towns that sprawl outward from the capital, is made up of houses, farms and light agricultural industry. The major thoroughfare runs right through the center of the town. In the 2015 census, the population of Leganes, Iloilo, was 32,480 people, with a density of 1,000 inhabitants per square kilometre or 2,600 inhabitants per square mile. This article about a location in Western Visayas region is a stub. You can help Wikipedia by expanding it. This page was last edited on 18 March 2019, at 11:36 (UTC).